Our developers be deployed for the guest lectures for the ROC van Twente in the upcoming 2 weeks. Here we give lessons about Virtual Reality and we show students how to cooperate the Arduino with Virtual Reality. We are pleased to see the students create everything they want with hardware like the arduino all by themselves. The arduino registers if you move something in Virtual Reality through the LED-lights. 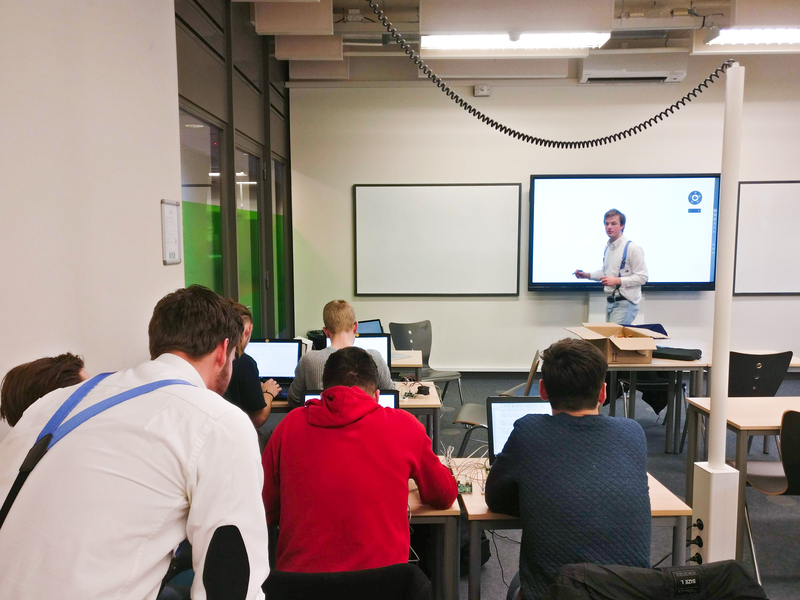 The coming 2 weeks our developers will be deployed for guest lectures at the school ROC de Gieterij. We will be giving lessons on Virtual Reality and showing the students how to combine VR with the Arduino. What we want to show is how the students can independently make anything with their own hardware like an Arduino. The Arduino registers when you do something in Virtual Reality and turns on various LEDs.